Directors are needed for fields that range from film to the hospitality industry. 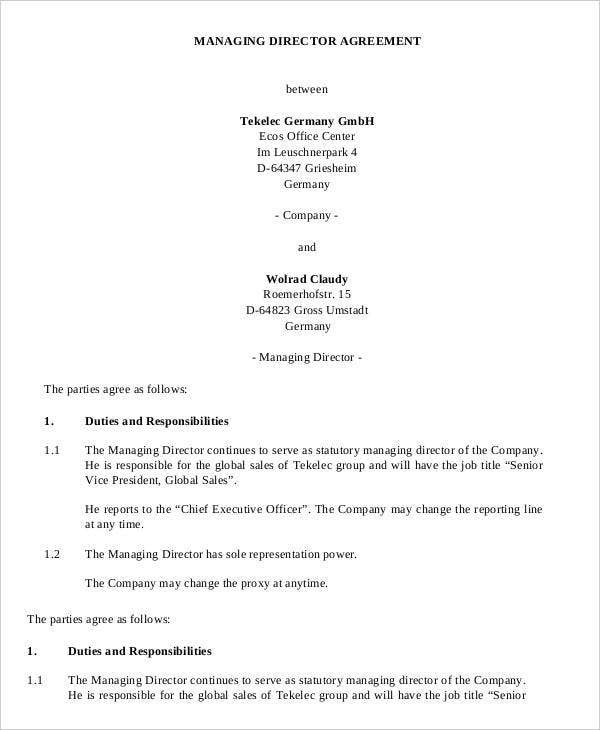 A director agreement is the document that states the job functions that are expected to be received by a business from a director. More so, it also contains the benefits that a director can get in exchange of his/her professional services. Just like a partnership agreement and an employee agreement, a director agreement needs to have a well-curated discussion of the things that will be followed within the validity of the transaction. We have listed a number of director agreement templates in Word and PDF for you to have guides that can allow you to create an effective director agreement. 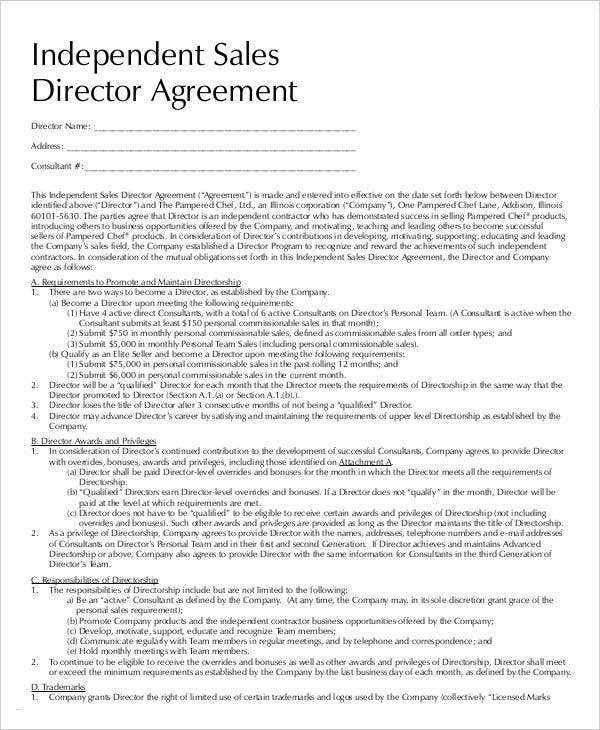 What Is a Director Agreement? 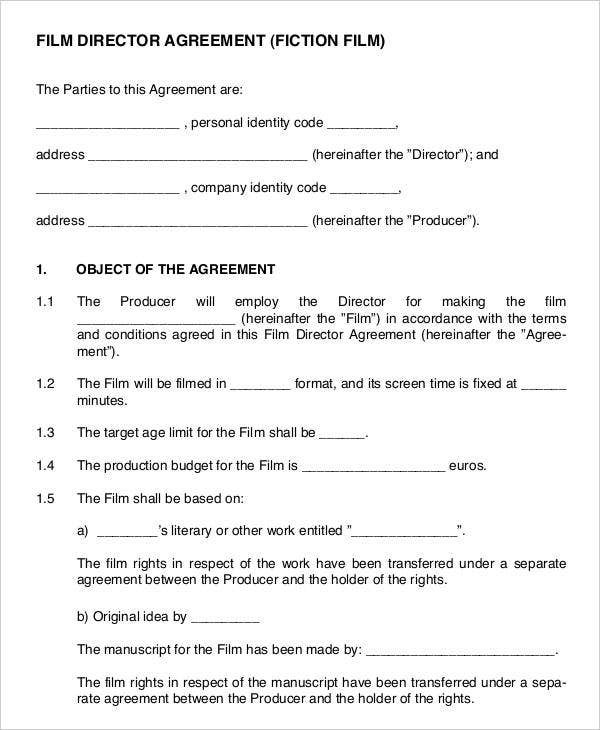 A film director agreement is a sample agreement template that contains the details that a director and all the other entities involved in a film production has agreed upon. This document provides the information about the schedules of filming, the fee of the director, the kind of services that the director needs to provide and the expected date of filming completion. 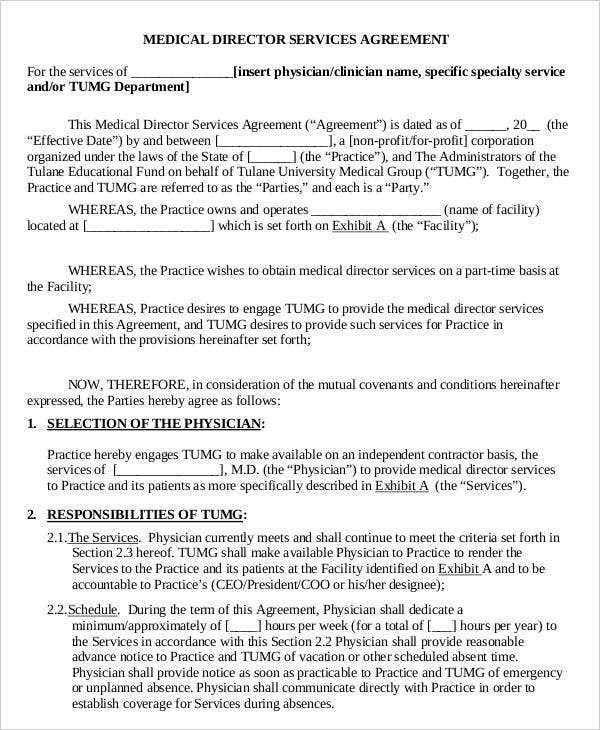 A medical director agreement is used by a hospital or any other medical institution to list down the requirements that they need from a qualified medical director. 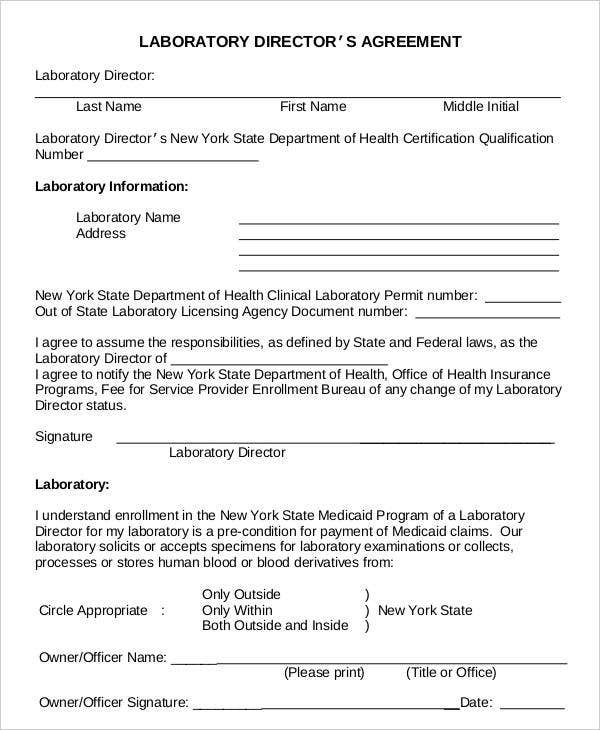 Most medical directors are tasked to assure the smooth flow of hospital or clinic operations which is why the agreement template used in this specific instance usually needs to have a precise listing of the things that a medical director needs to execute. 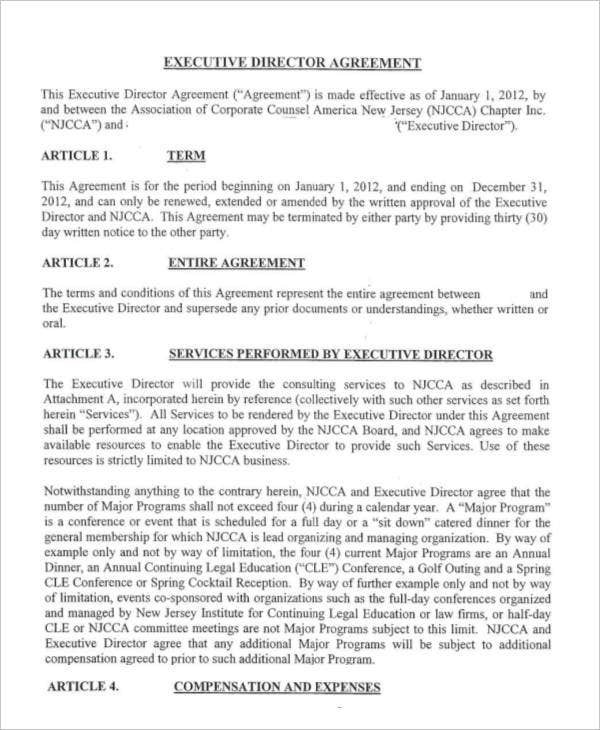 An executive director agreement is usable in different business in a variety of industries. 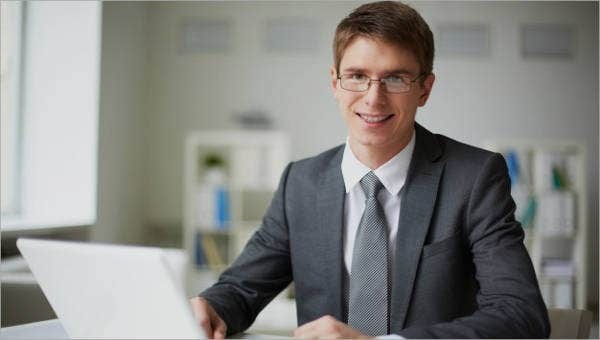 Most executive directors are needed by companies in the hospitality and service industries which is why this kind of employment agreement template is usually used in these fields of expertise. Be specific with the kind of director agreement that you will create. It will be very helpful if you will already state the kind of director job post that is involved in the agreement within the initial parts of the document. 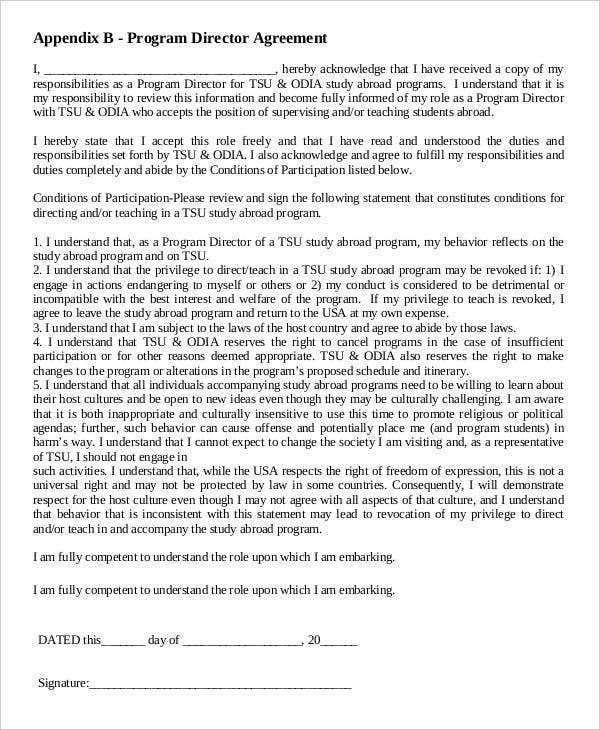 Use a template as a reference in creating a director agreement. 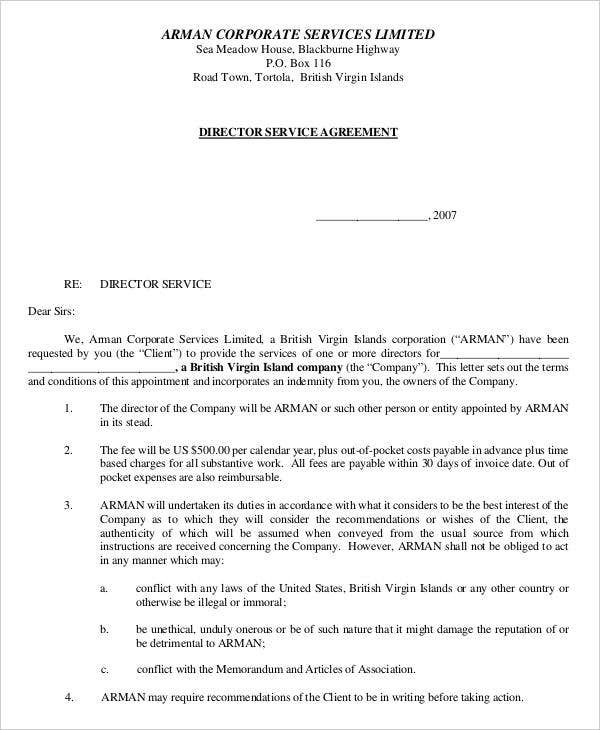 We have collected different kinds of director agreement. This selection will help you to download and use the specific director agreement that is relevant on the transaction where you and a director are currently involved in. 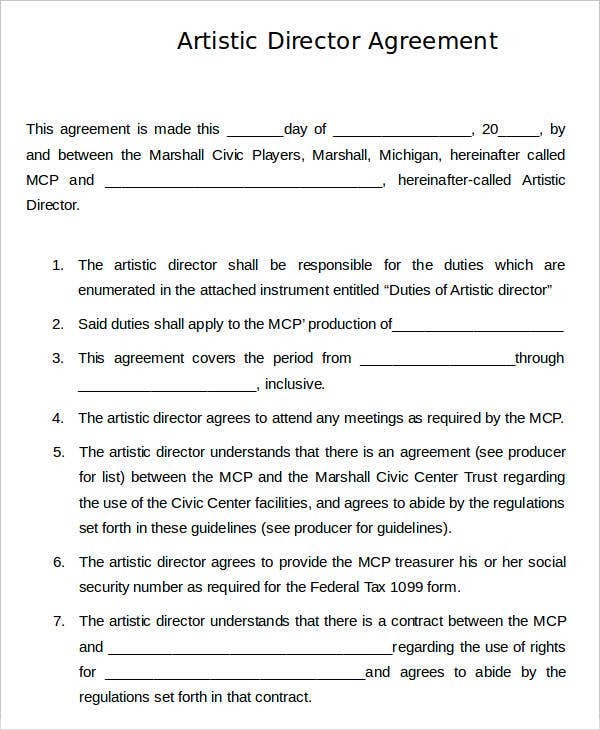 Always remember that a director agreement is a kind of contract agreement. Make sure that you will include the scopes and limitations of the director agreement that you will create. Provide the items that are expected from the director. 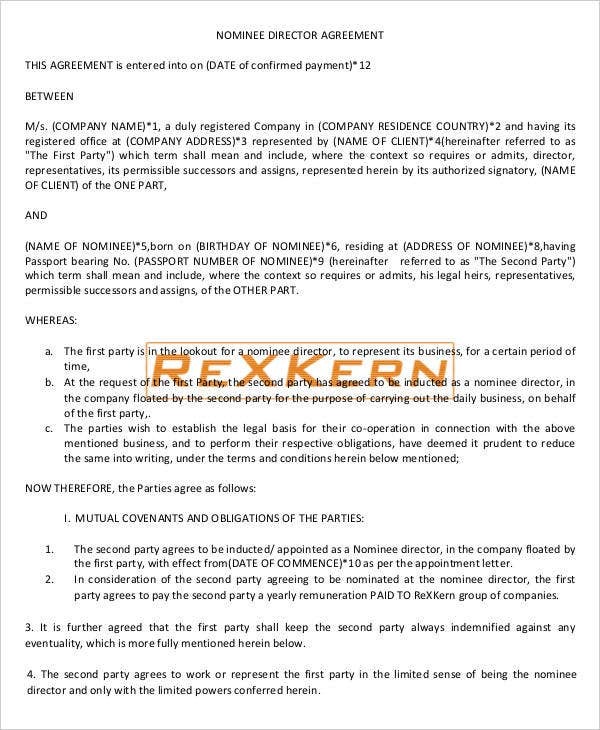 One thing in common between a consignment agreement and a director agreement is that they both provide the details with regards to the expected duties of an entity involved in a transaction. No matter what industry it is where you will use a director agreement, make sure that the document that you will create is effective, highly-usable and complete.